BLUE HILL — The Bagaduce Music Lending Library announces Sara Grey on banjo and Kieron Means on guitar singing traditional folk songs that have traveled across the Atlantic to North America for a concert at 7:30 p.m. Thursday, May 17, at BMLL Performance Hall, 49 South St. Tickets available at the door or by calling 374-5454. Suggested ticket donation is $15. Grey grew up in New Hampshire but has lived in Scotland and England for more than 40 years. As a youngster in North Carolina, she first heard a lot of mountain music and her love for the old-time banjo music and songs developed from this experience. In her adult life, she has studied folklore and performed music from the various areas in which she has lived. 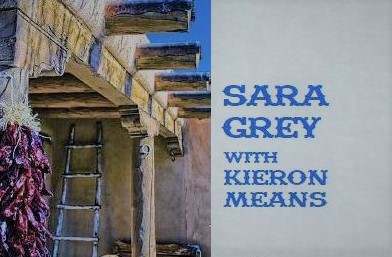 Before she moved to Scotland, Grey was part of “The Golden Ring” with people like Ed Trickett and Gordon Bok, a well-known group of singers interested in traditional song. Means was born in the United States and grew up in Britain gaining a great love of the music of both traditions as well as the contemporary scene. He has become a performer of traditional songs from United States and the United Kingdom, plus many of the contemporary songs he has written himself.